Eating clean healthy nutrition, making good choices. Leafy greens are the powerhouses of nutrition. 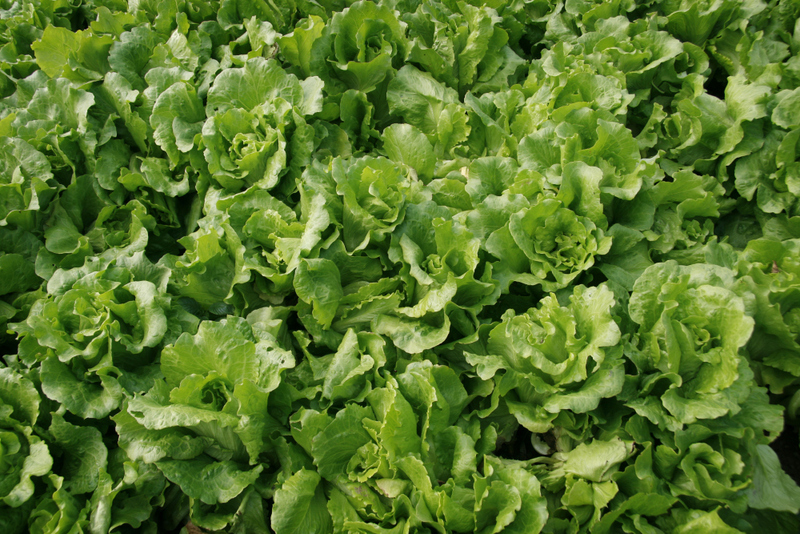 Full of vitamins, minerals and antioxidants, leafy greens should be part of your daily menu. Aim for 2-4 cups (raw) per day. 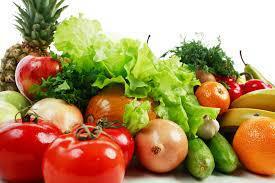 Vegetables are naturally low in calories and are a good source of fiber. They are full of vitamins and minerals; and a diet rich in vegetables can lower cholesterol and blood pressure and may reduce the risk of some cancers. 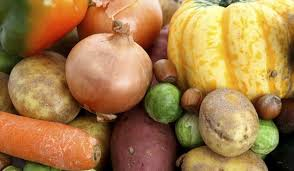 Starchy vegetables are higher in carbohydrates than other vegetables and are a good nutrient dense source of energy. If you are trying to lose weight, they should be limited to 1 serving per day. 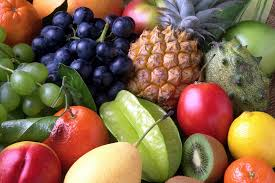 Fruit is a good source of essential nutrients, vitamins and fiber. Fruit is has no cholesterol but can be high in sugar. If you are watching your weight or are diabetic you should limit fruit to no more than 2 servings a day. Milk, yogurt and cheese fall into the dairy group. 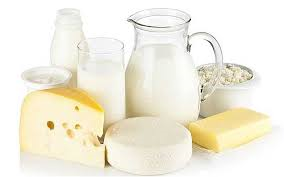 Dairy is a good source of calcium, potassium, vitamin D and protein. High fat versions are high in saturated fats which can contribute to heart disease. The newest dietary guidelines significantly decrease dairy's role in your daily menu. Protein comes in many forms: meat, fish, poultry, eggs, legumes, nuts and seeds, dairy and protein powders. 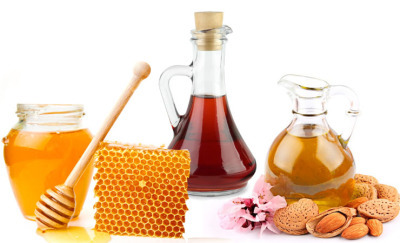 It provides vitamins and nutrients and is a building block for bones, muscle, cartilage, skin and blood. Grains are divided into 2 groups, whole grains and refined grains. Whole grains are a good source of fiber and B vitamins. They play a role in reducing heart disease. Refined grains should not be consumed. 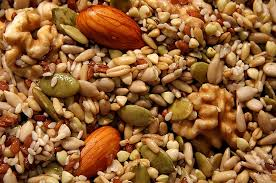 Nuts and seeds are excellent sources of Omega 3s and protein. They are high in fat, but it is healthy fat. Nuts and seeds contribute to heart and brain health. Fat can be healthy fat or unhealthy fat. 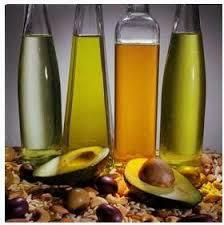 Good sources of fats are the fats found in whole foods, or certain oils. Olive oil, avocado oil, coconut oil and walnut oil. are good fats. Trans fats, the fat found in most processed food, should not be consumed. Herbs are the leafy green and flowering parts of the plant. They are used in food, medicine and perfume. 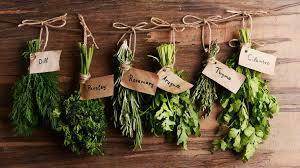 Using herbs is a good way to add flavor to a dish without salt or calories. 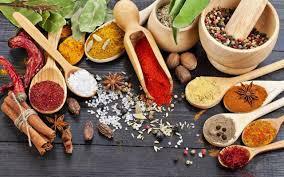 Spices are the roots, stems, bulbs, seeds or bark of the plant. They are usually dried and are used much the same as herbs are. They are an excellent way to flavor food and some have medicinal purposes. This is where we put all the other food items that do not fit well into a specific category, but which deserve mention. As we find new, fun foods, I expect this section will grow.